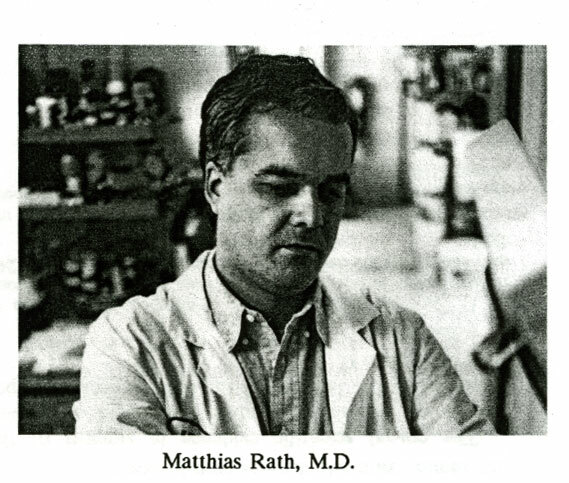 The technique that Pauling and Rath were attempting to patent in April was both a method and a pharmaceutical agent designed to prevent and treat fatty plaque buildup in arteries and organs and also prevent blood loss during surgery by introducing into a patient (or organ) a mixture of ascorbate and lipoprotein(a) [Lp(a)] binding inhibitors, such as tranexamic acid. Tranexamic acid is a synthetic version of Lysine, and ascorbate is the shortened name for L-ascorbic acid, or more commonly, Vitamin C. Lp(a) is a biochemical compound of lipids and proteins which binds to fibrin and fibrogen in the walls of arteries and other organs, which causes plaque buildup, which in turn often results in atherosclerosis – the thickening and embrittling of arterial walls – and cardiovascular disease (CVD), one of the most common causes of death in the United States. The second patent described effectively the same method, but focused more on CVD and less on surgery. 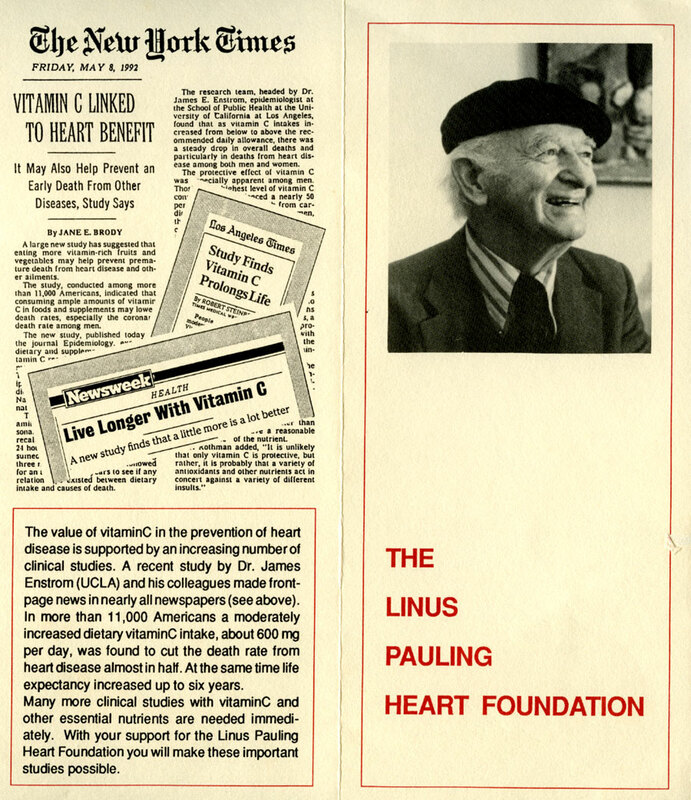 Pauling and Rath noticed that humans and a select few other animals are the only creatures that suffer from heart attacks and other issues associated with the buildup of plaque in the circulatory system. One common link between all of these creatures is the fact that they do not naturally produce Vitamin C, and therefore must obtain it solely through diet. The duo hypothesized that the cause of Lp(a) buildup was due to a lack of Vitamin C, and that if Vitamin C intake was increased, it would help the body filter out Lp(a) and therefore decrease the amount of Lp(a) in the bloodstream. They decided to run tests on Hartley guinea pigs, since they are one of the few other animals that don’t synthesize their own Vitamin C.
The first test was run on three female guinea pigs, each about a year old and weighing 800 grams. The animals were all fed a diet devoid of ascorbate (e.g., a hypoascorbate diet), and given an injection daily of ascorbate so that Pauling and Rath could easily monitor and control their intake. The first pig was given ascorbate at a ratio equivalent to 1 mg per kilogram of body weight (1 mg/kg BW). The second pig was given 4 mg/kg BW, and the third was given 40 mg/kg BW. The experiment only lasted three weeks, because Pauling and Rath didn’t want to inflict scurvy upon the guinea pigs. 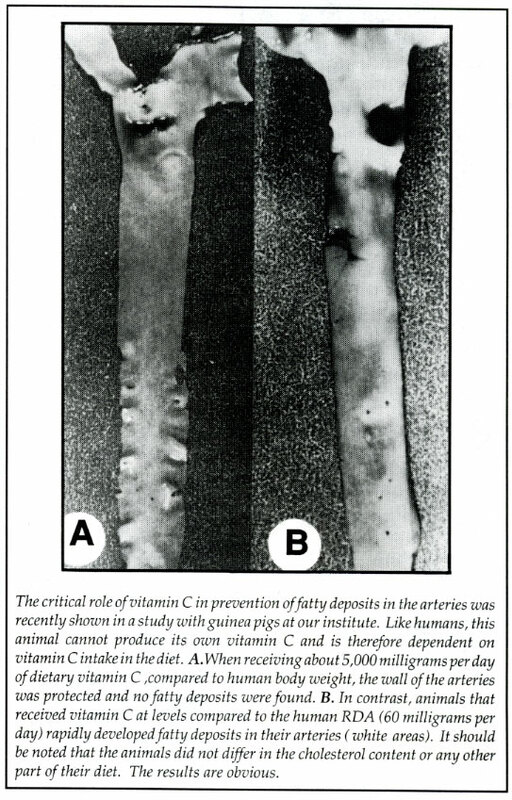 Creatures deprived of Vitamin C for prolonged periods develop scurvy, an incredibly painful condition where the victim becomes lethargic and begins to suffer skin color and texture changes, easy bruising, brittle and painful bones, poor wound healing, neuropathy, fever and eventually death. The guinea pigs had their blood drawn at the start of the test, then once again after ten days. At the end of three weeks, the animals were anesthetized and euthanized, then dissected. Their results showed that the hypoascorbate guinea pigs had noticeably higher plaque buildup and general amounts of Lp(a) in their bloodstream. Upon closer analysis of the organs and the arterial wall, the researchers discovered that the guinea pigs had also developed lesions along the walls of their arteries, to which Lp(a) was binding even more than normal. Pauling and Rath then ran a more expansive second test, with a test time of seven weeks and a test group of thirty-three male Hartley guinea pigs, each approximately five months old and weighing 550g. At the outset, the subjects were split into multiple groups. Group A consisted of eight guinea pigs and was given 40 mg/kg BW of ascorbate daily, while Group B consisted of 16 guinea pigs given 2 mg/kg BW daily. At five weeks all of Group A was euthanized and studied, as was half of Group B. The second half of Group B then had their daily dosage increased to 1.3 g/kg BW for two weeks before being euthanized. 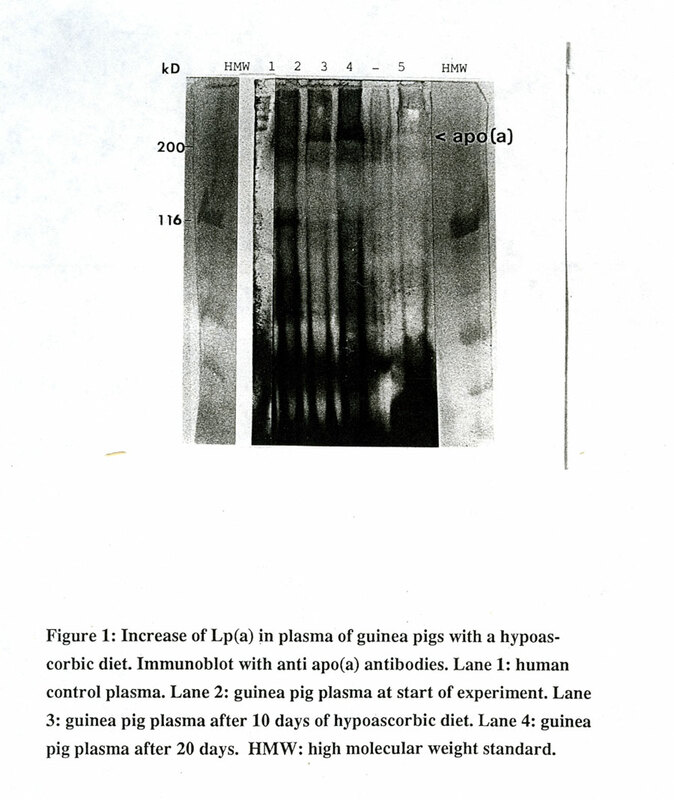 Once again, it was observed that the hypoascorbate guinea pigs had developed lesions in their arterial walls and organs, as well as increased plaque buildup and Lp(a) levels. On the same token, the second half of Group B showed decreased levels of Lp(a) in their blood and decreased amounts of plaque after their ascorbate intake was dramatically increased. Pauling and Rath felt that their research was confirming their hypothesis, and wanted to see how it would function on humans. Their method here was to obtain post-mortem pieces of human arterial wall. They cut the pieces into smaller sections, and for one minute placed a piece weighing 100 mg into a glass potter containing 2.5 ml of a mixture of ascorbate and tranexamic acid. Compared to the other pieces, the portions in the mixture released sizable amount of Lp(a). This promising data in hand, Pauling and Rath then began to think about patenting and marketing their work. This is complementary critical information. Great comment to this reported post. Indian population is genetically susceptible to heart attacks as compared to other world populations. Vit C is not synthesized by our system. But it alone can not be responsible. Genetics also plays a significant in addition to dietary intake of VitC and other food items.